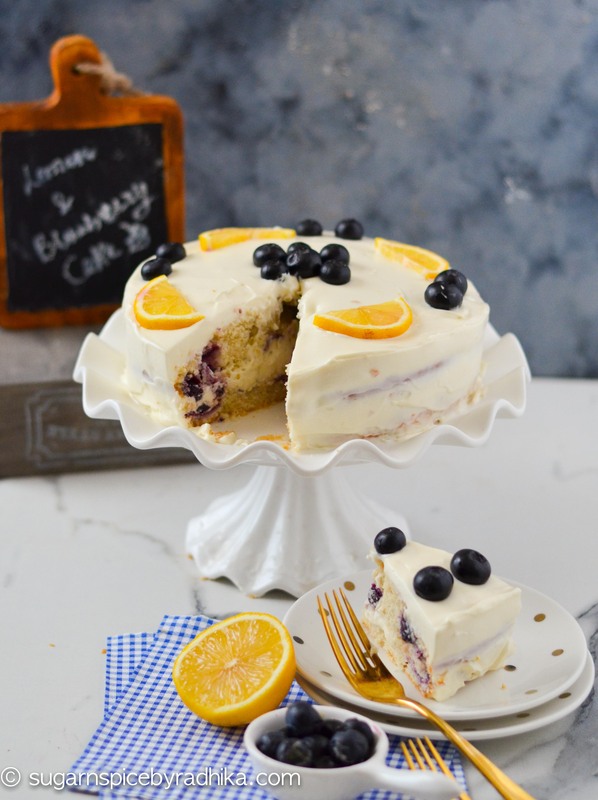 Make this super moist and flavourful lemon blueberry cake covered with a tangy cream cheese frosting in a just few simple steps. 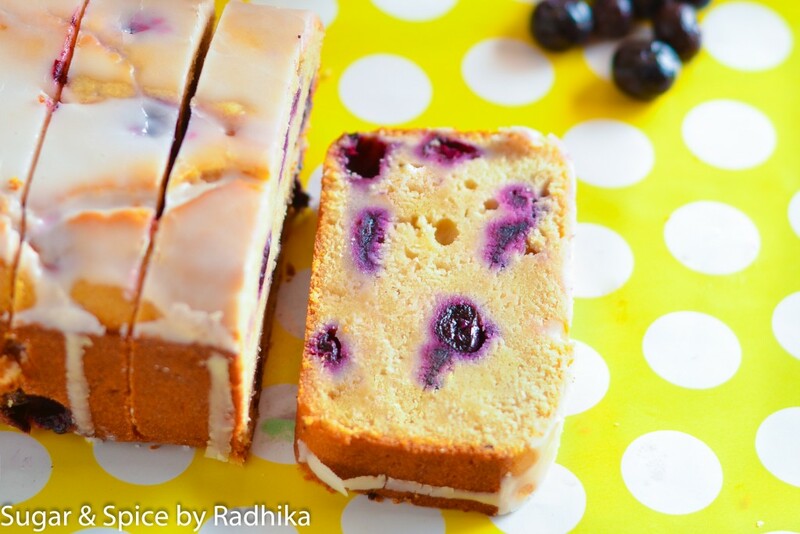 Its summer time and this surely calls for slicing into some delicious cake recipes. 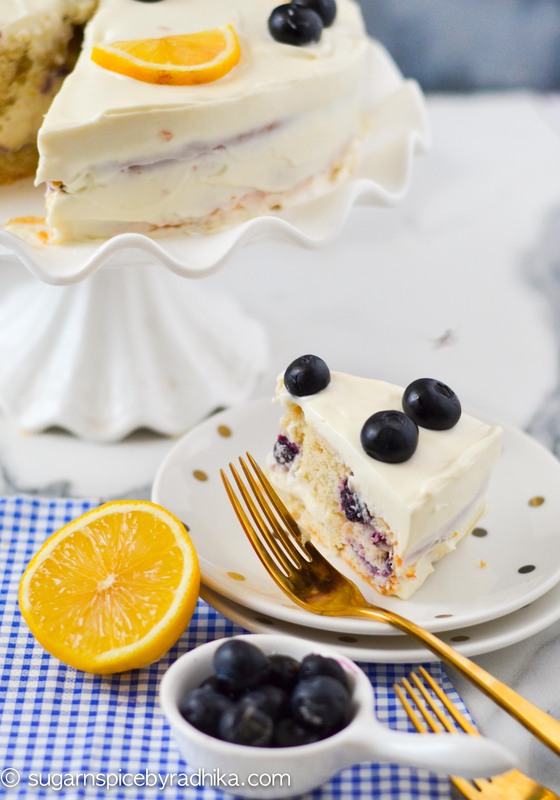 Swirled with blueberry and topped with a tangy-sweet cream cheese frosting, this recipe is pretty much a delight for all. 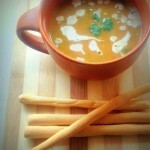 Its super quick and easy and all you have to do is combine the wet and dry ingredients together and mix them properly. 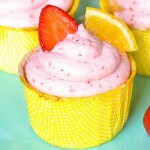 This recipe is so versatile that you can actually go basic and eat it without the frosting also. 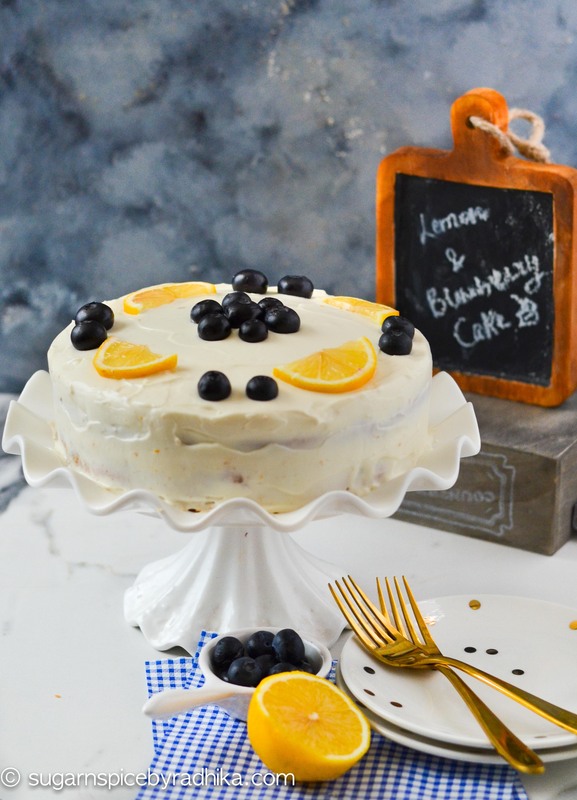 I’ve used the cream cheese frosting here as it gives an extra kick to the flavour quotient and tastes even more delicious with the lemon-blueberry cake. 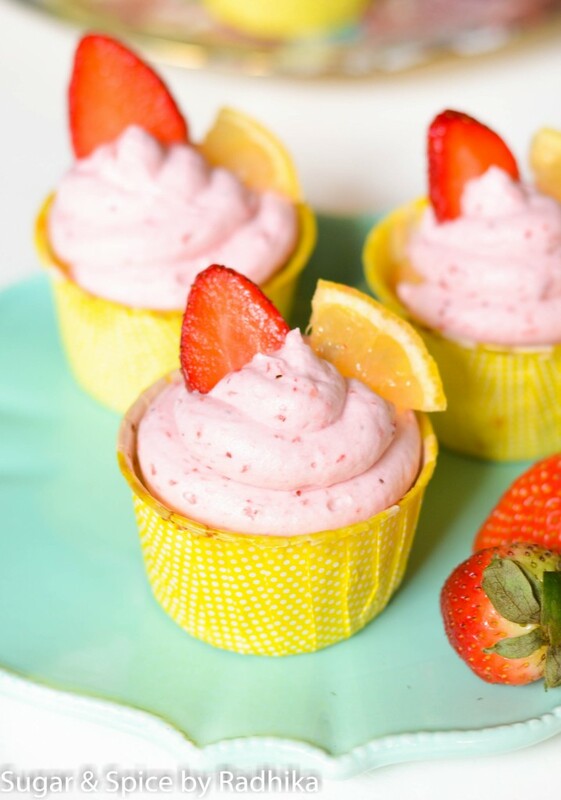 All you have to do is combine 400 gms of cream cheese to 1 cup of whipped cream, a little vanilla and lemon juice to taste. Mix them well and frost onto the cake. Preheat oven at 180 degrees. Butter your tin and line with parchment/butter paper. Sieve flour and baking powder and mix it properly. Set it aside to be used later. Whisk together butter and sugar until pale yellow. In a separate jar, whisk together milk and eggs. Add the flour mix little by little to the butter+sugar mix. 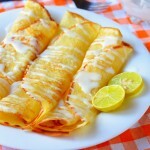 Simultaneously, keep adding the wet ingredients little by little too, so that that it forms a batter. By the end of this process, everything mixed together should have formed a smooth batter. 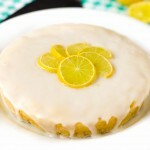 Add in the lemon juice, lemon zest and vanilla essence to the mixture to the batter. Make sure its not too liquidy. Finally add in the blueberries and mix to evenly disperse them. 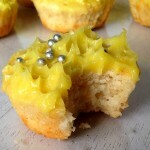 Bake at 160 degrees for 35 minutes or until just golden on the top. 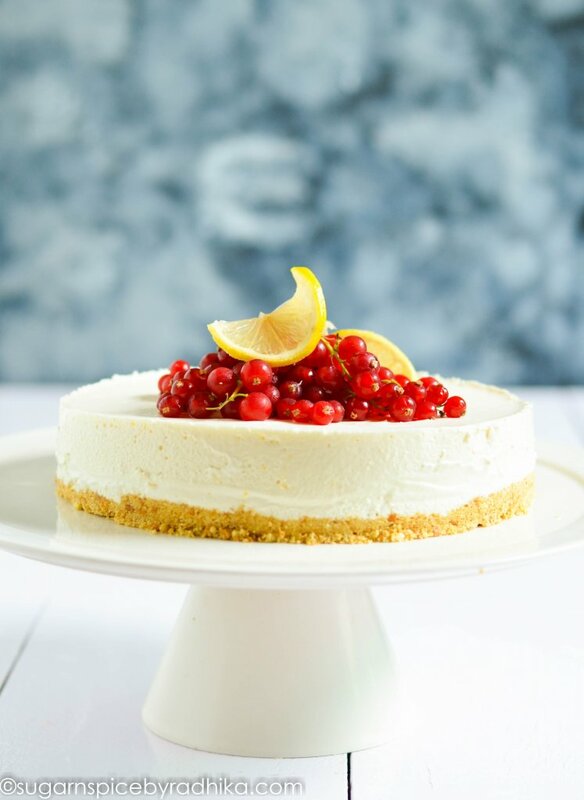 Insert a skewer and if it comes out clean then your cake is ready! 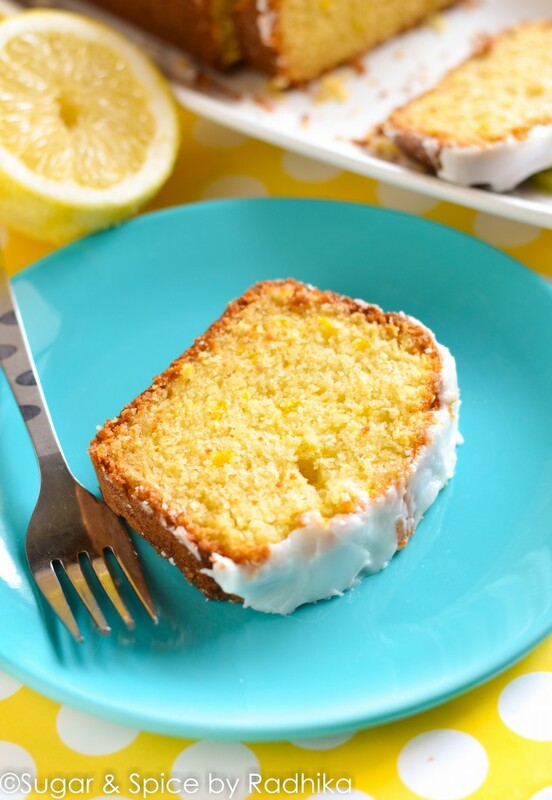 Let the cake cool down completely before you start frosting it. To make the frosting, whip cold whipping cream until stiff peaks form. Add in the icing sugar and whisk that in too. Do not overmix it, stop once you see stiff peaks. 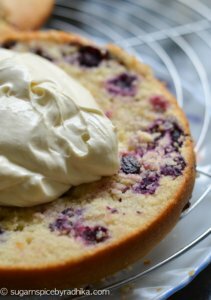 In a separate bowl whisk the cream cheese lightly, add in the whipped cream to this using a spatula and mix. 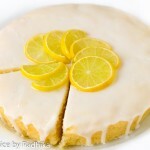 Add in the vanilla essence, lemon zest and juice, and mix them in with the spatula too. 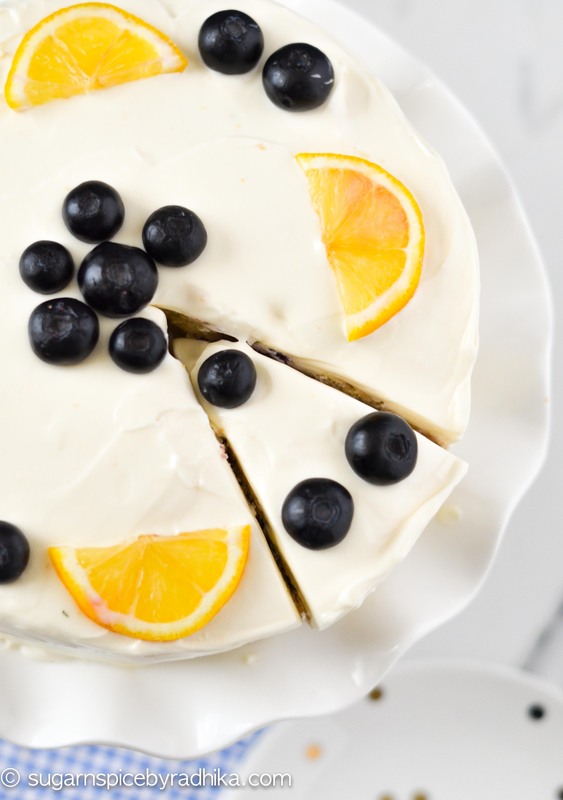 Let the frosting cool down in the refrigerator before you frost the cake with it. 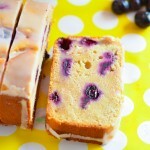 Slice the cake in half from the middle so you have two layers. 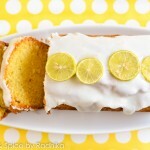 Add about ½ cup of frosting in the middle, spread it and place the other layer of the cake on top. Frost the exterior of the cake with the remaining frosting using an offset spatula. Cool it completely before serving. 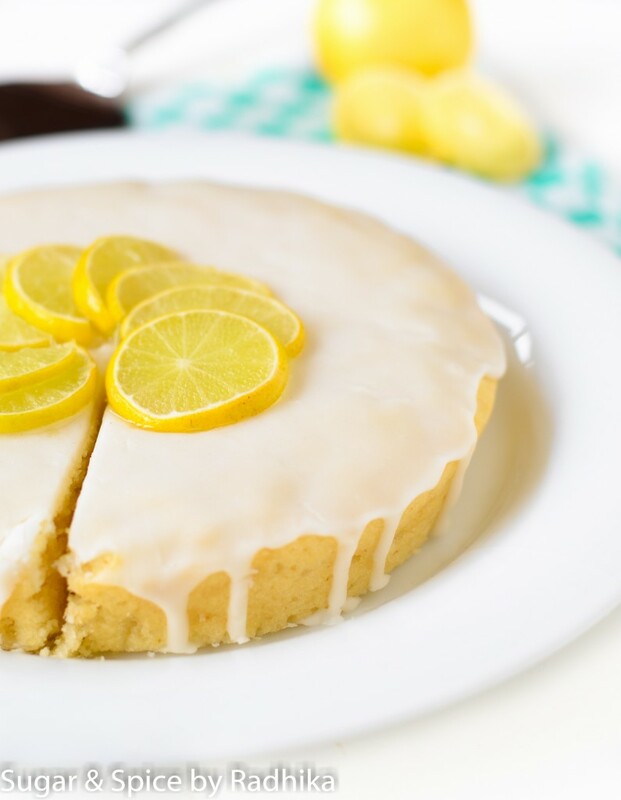 LOOKING FOR MORE LEMON RECIPES? TRY THESE..